This weekend, the Oil Free Otago Flotilla will depart from Dunedin to confront Anadarko’s drillship, the Noble Bob Douglas, 35 nautical miles off Taiaroa Head. The flotilla comprises of three yachts from around Otago and Southland. Otago community leaders will be on board the lead yacht, Tiama, including Rev. Dr Peter Matheson, and Physicist, Professor Bob Lloyd. The Flotilla will communicate directly with the drillship requesting that Anadarko halt their drilling operations in New Zealand. Each community leader will outline their reasons for opposing the impending drilling. “This group of local leaders are here to protect our city, our climate, economy and coastlines from deep sea drilling. Dunedin has the expertise and the capacity to be at the forefront of clean, innovative energy solutions, and that’s what we should be focusing on instead of risky deep sea drilling”, said Oil Free Otago spokesperson, Niamh O’Flynn. The Noble Bob Douglas has just completed their drilling program 110 nautical miles off the coast of Raglan and are expected to arrive in Otago sometime over the next three days to drill in the Canterbury Basin. This will be their second deep sea exploratory well in New Zealand. Exploratory drilling is the riskiest stage of drilling. “Unless the public protest the insanity of putting ever more carbon into the atmosphere we will be headed into a world that will be radically different from the one we now occupy and one that I personally don’t want to happen,” said Professor Bob Lloyd. The boats taking part in the flotilla include Tiama, skippered by Henk Haazen, and Erehwon, skippered by Invercargill teacher, Carlos Legaz. 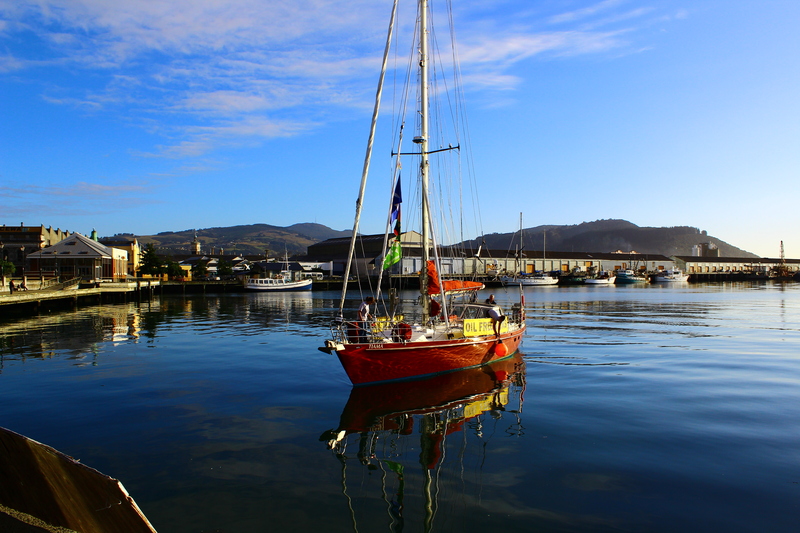 The flotilla will set sail on Saturday from Dunedin Harbour.